Cool, refreshing and a little kicked up! 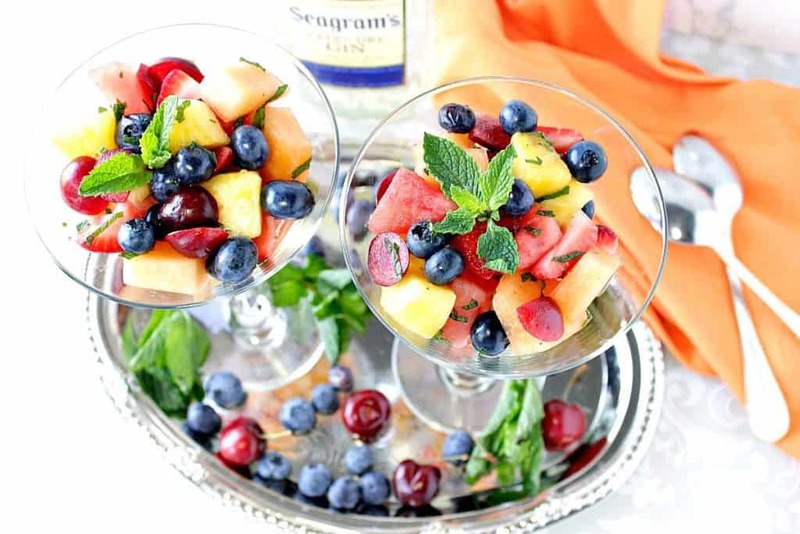 This Boozy Fruit Cocktail is the perfect summer dessert for the over 21 crowd! 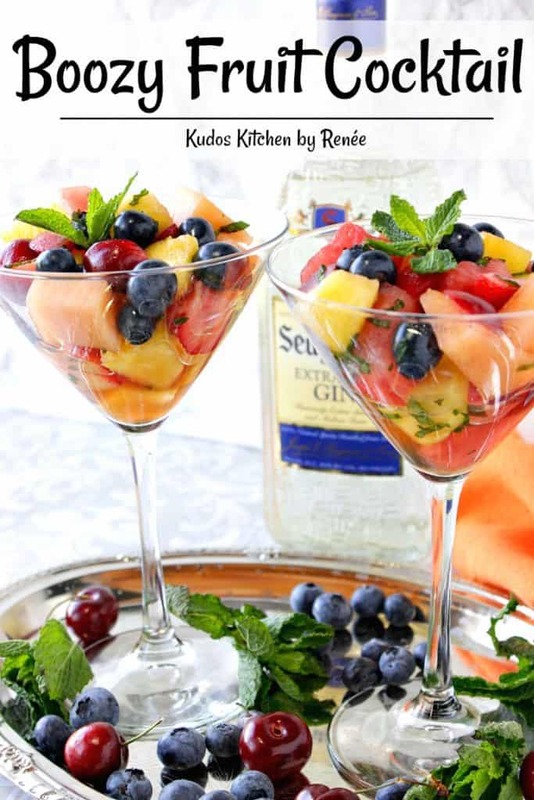 When you’re looking to impress, but you don’t have a lot of time to spend, you need to whip up a Boozy Fruit Cocktail, or two. 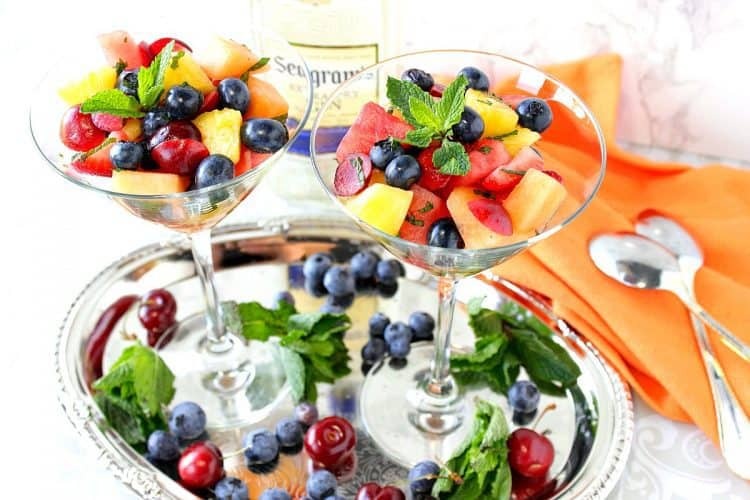 They’re colorful, naturally sweet, and look very elegant when served in a few of your favorite cocktail glasses. The thing that excites me the most about this Boozy Fruit Cocktail, besides the gin of course (hehe), is how colorful and visually appealing it is. I honestly find it hard to rip my eyes away from Mother Nature’s perfection when it comes to the colors she gifts us with every single day, and in every single way! 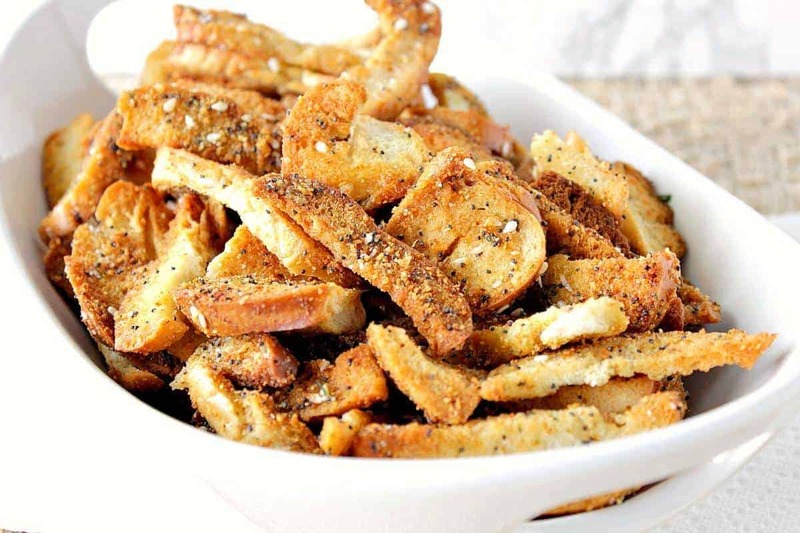 I can’t help but be humbled and thankful for all Mother Nature provides, and this recipe is an amazing way to showcase the very best of her seasonal offerings! 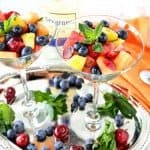 The selection of fruits and berries I chose to use in my Boozy Fruit Cocktail are blueberries, cherries (pits removed and halved), watermelon, cantaloupe, pineapple, and strawberries. 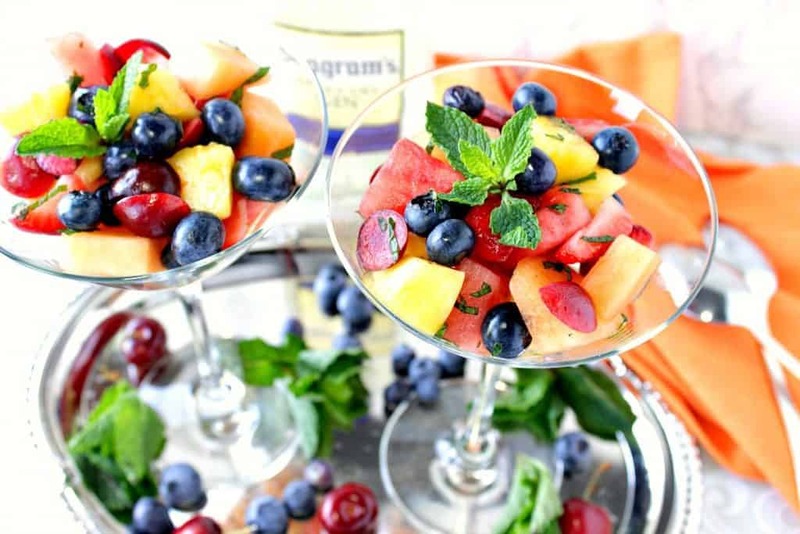 For each cocktail I used roughly 1 cup of the mixed fruits and berries along with a ½ shot of gin, some fresh mint leaves, and a splash of pure vanilla extract for some additional interest and flavor. 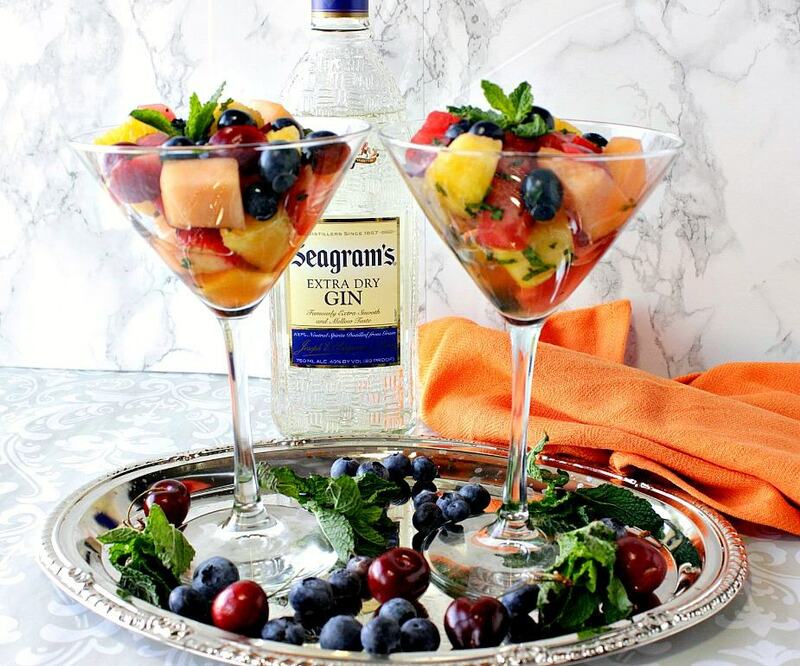 To prepare this dessert, I mixed all the fruit, alcohol, and vanilla extract in a bowl and carefully spooned the Boozy Fruit Cocktail into the martini glasses for an elegant presentation. If you don’t have martini glasses, don’t fret. Wine glasses, rocks glasses, or even Margarita glasses will also make for a lovely presentation. And, if you’re feeling extra adventurous, if you’re using Margarita glasses for the presentation you might want to swap out tequila for the gin. Woo Hoo! That would also be delicious! But then don’t forget to lightly salt the rim of the glass because if you’ve never tried fruit with a light pinch of salt, you don’t know what you’re missing!! Special Note – If you’re interested in making this recipe but don’t want to use any booze, why not use a little ginger-ale or cream soda in place of the gin? This way any one, of any age, can enjoy this luscious fresh fruit dessert. 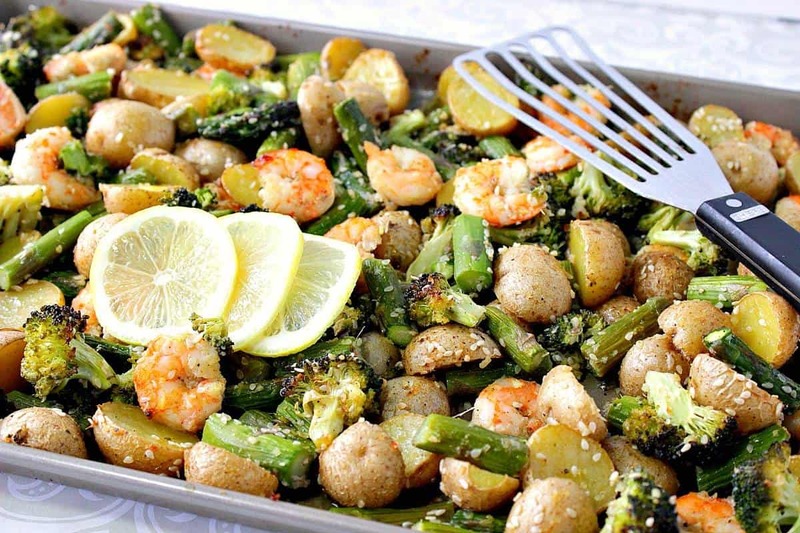 Place all the ingredients in a bowl (except for garnish) and gently mix. Spoon the fruit and liquid into 2 serving vessels of your choice. Special Note - To make this recipe without the alcohol, swap out ginger-ale or cream soda for the gin. If you’re interested in making gin at home, all you need is vodka, herbs, spices and juniper berries. I’m leaving a few Amazon affiliate links below if you’re interested in ordering some juniper berries, along with some Amazon links for various glassware items that would be perfect for serving a Boozy Fruit Cocktail. 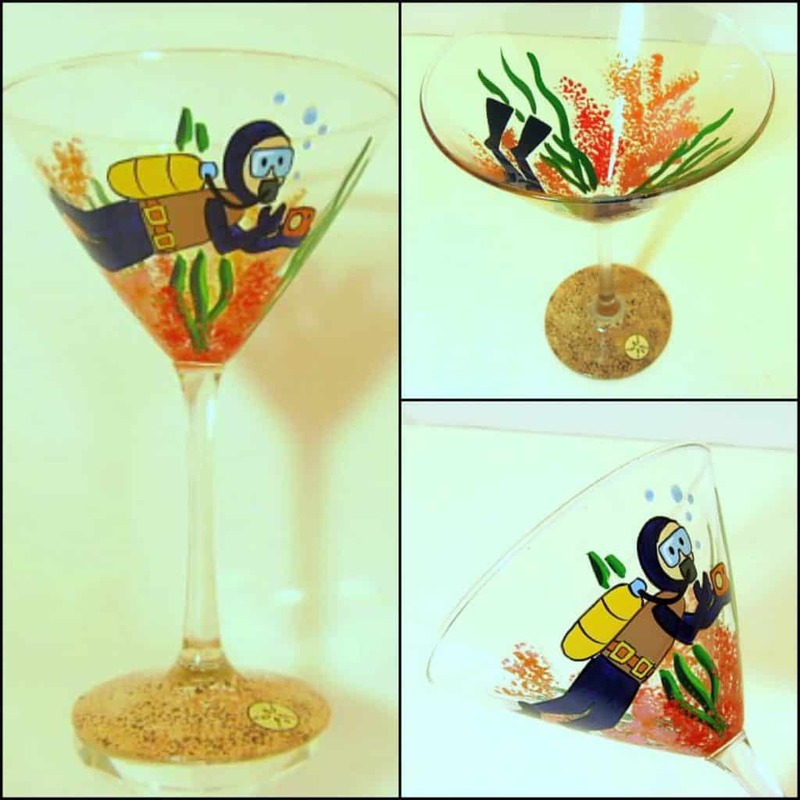 I’ve decided to coordinate this recipe with my hand painted SCUBA DIVER designed martini glass because it’s fun and colorful just like this recipe for a Boozy Fruit Cocktail. The design show below is available for purchase through my online shop. All of my hand painted glassware items are painted to order and unique. Each glass comes in its own gift box and personalization is always free. If there is something I can paint for you (from glassware items to fabrics), please don’t hesitate to contact me to discuss your design and for a price quote. Special orders are always welcome! The perfect summertime treat for hanging by the pool! Thanks for adding a substitution for the under 21 crowd! I feel like my kids might be trying to take over my glass because it looks so good! It’s my pleasure because I know not everyone enjoys alcohol. Now the kidlets can also enjoy the fruit treat with no worries! I think I could convince myself that this is a healthy treat for myself! Now, this is my kind of dessert!! I LOVE it!! Its fantastic!! 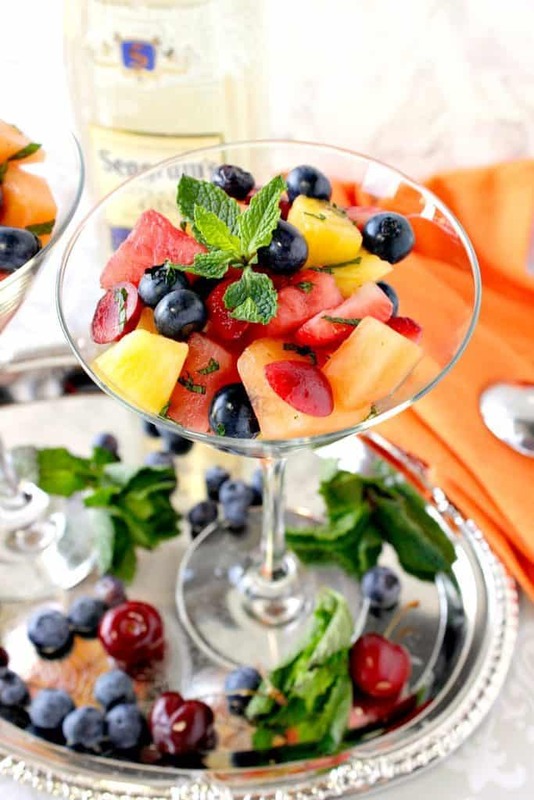 I love a good boozy fruit salad and you NAILED it! 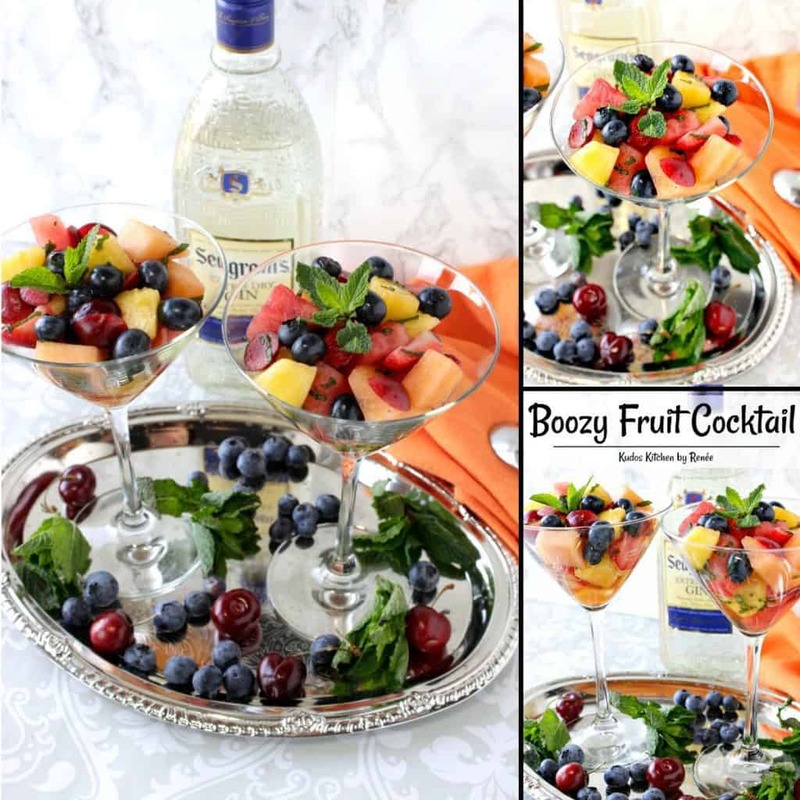 Boozy fruit cocktail?! I can’t believe I’ve never tried this. Sounds like the perfect summer dessert! I want to put this on my next BBQ menu!